Dr. Bruce Klein in China. 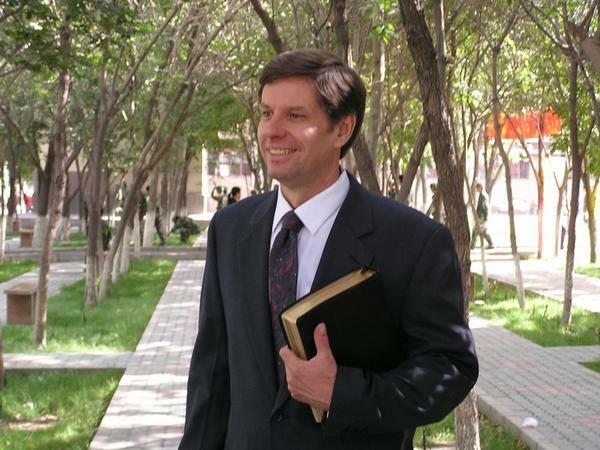 Apostolic missionary in China for three years. Dr. Bruce A. Klein, M.A., M.Div., Th.M., Th.D. Sister Klein is laying hands on Brother Kevin. 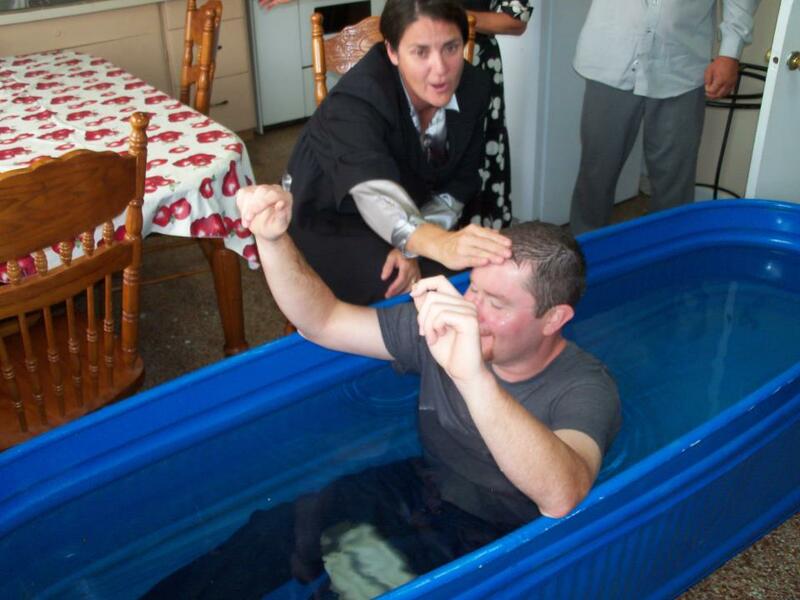 After he was water baptized he received the baptism of the Holy Ghost with the evidence of speaking in tongues. This picture was taken in the church building where we pastored - Kaplan, Louisiana. Sister Dana D. Klein, M.Div.